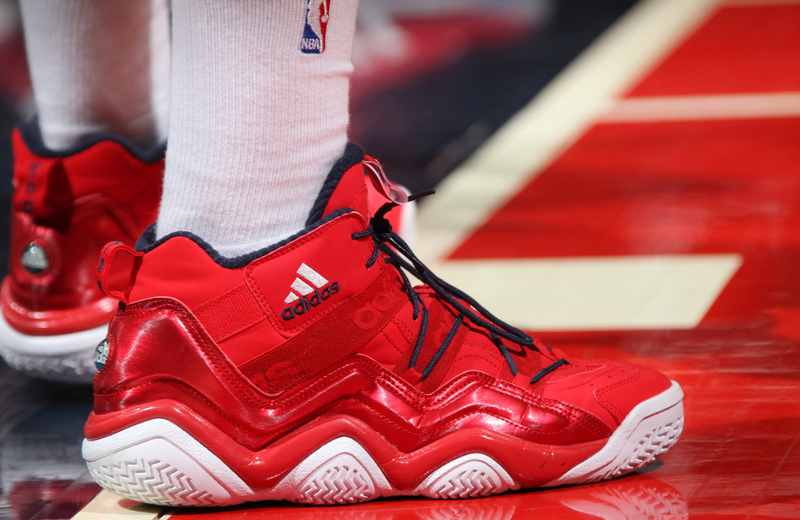 Get an up close look at the all red Top Ten 2000 that John Wall has been rocking over the past month since joining adidas. 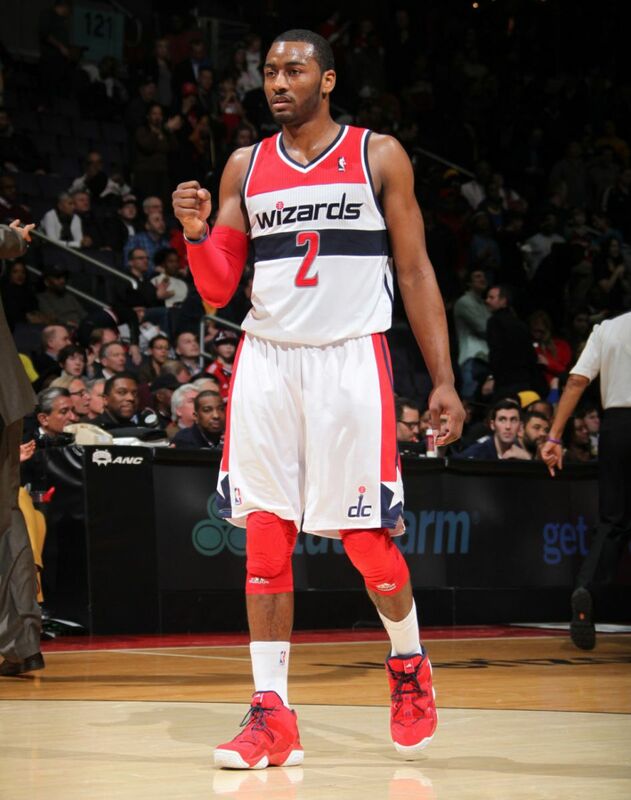 After transitioning from Reebok Basketball to parent company adidas a month ago, Washington Wizards floor general John Wall has been consistently rocking the retro Top Ten 2000 in a trio of colorways. He's been splitting time in the original Navy / White version, sporting a Triple Black makeup recently and also seen in this all red "OG Top Ten Class" pair. Which you can get an up close look at below. Jimmy Wall primarily wore Reebok's newest products on-court during the two-plus seasons he spent with the brand, but he's already warmed up to the adidas model that originally dropped in 1996. "I just really like the way that the Top Ten 2000 feels," says Wall. "Even though it's an old shoe, it's a great shoe to me. I feel like when I'm at home, I like wearing the all red ones, and when I'm on the road I'll go with the navy and white." For more on the newest addition to the adidas Basketball roster, check out our interview with John from last weekend in Houston.